HappyFox allows you to create, edit and manage assets. In addition to managing assets, you can also create associations between assets and tickets. Using the new asset management module, you can easily keep track of the assets against which the tickets have been raised - all within HappyFox. 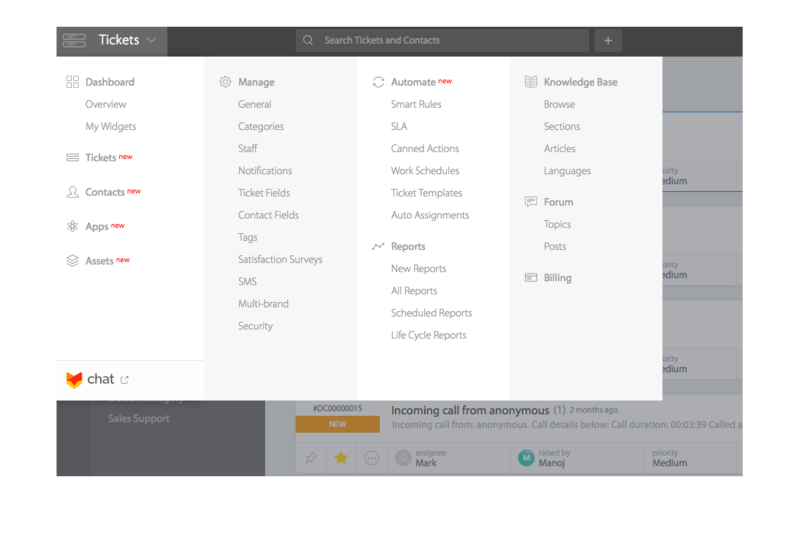 This feature is available to all Enterprise & Enterprise Plus users. Asset Management will show up as an independent module in the module switcher to users having “Manage Assets” managerial permission. 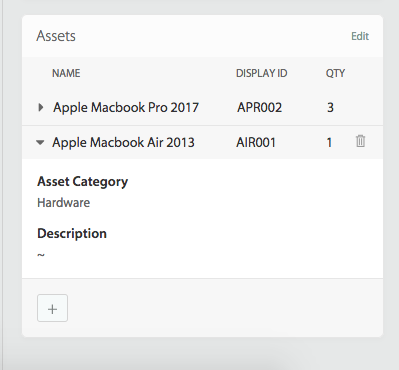 On navigating to the Asset Management module, you can create, search and edit assets. Click on the “+” button to create new assets. Click on an asset from the asset-list page to edit it. Use the search bar to search and find new assets. Click on an asset in the Asset-List page to open the asset-detail pane. You can directly edit the asset fields and save. Deleting an asset will also remove its corresponding associations with tickets. To delete an asset, choose “Delete” text link from the asset-detail pane. You will then be prompted with a confirmation popup asking you to confirm. You can link one or more assets to a ticket from the ticket-detail screen. Once you are in the ticket-detail screen, you can find the linked assets on the right pane. Creating, editing and deleting asset association with tickets can be done by all users. To view more details about the linked asset, you can expand the accordion as shown above. To link one or more assets to a ticket, click on the “+” button. You can then search for existing assets to associate with the ticket. 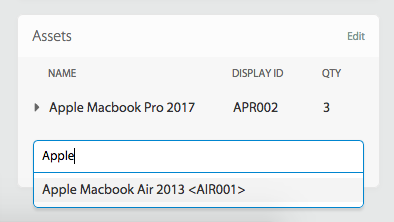 The search will match against the name of the asset and the DisplayID fields to show relevant results. Once you choose an asset, you can then specify the quantity that needs to be linked with the ticket and save it. The quantity field is specific to the ticket and captures information about the ticket-asset association. This information cannot be viewed from the asset-detail screen. Click on the “Edit” text link to edit linked assets. You can modify only the quantity. To delete the asset, hover on the linked asset and click on the trash icon. 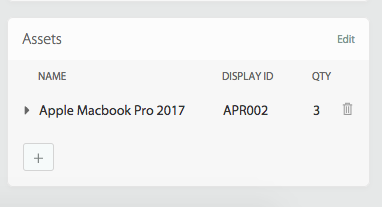 Choose “Delete” from the confirmation pop-up. The delete action only removes the asset-ticket association. It does not delete the asset. The following operations on linked assets add a corresponding activity log on the ticket. We have plans to enhance the asset management module and integrate it with more helpdesk modules and features. If you have any ideas or suggestions regarding your use-cases, please write to us at support@happyfox.com.